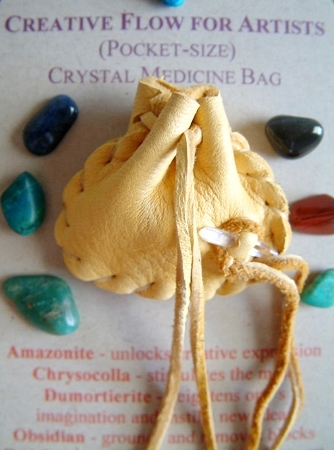 The "Creative Flow for Artists" pocket-size Crystal Medicine Bag (CMB) contains a collection of beautiful and powerful gemstones specifically selected to help you feel creatively inspired. 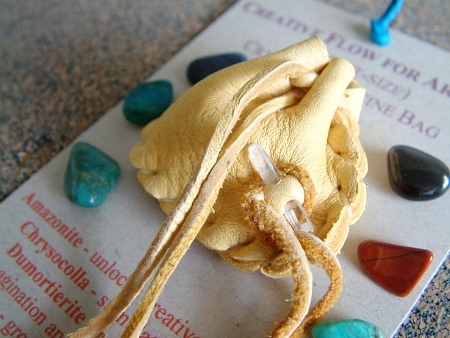 This is a wonderful CMB for artists and anyone in the creative or communication field. It'll bring a boost of inspiration to you if you feel stuck and a flow of creative ideas for any project.